Buffon will wear the new home jersey during the game vs. Macedonia. Yeah, you read that correctly. PUMA are launching the new Italy home shirt in style with a world's first. After unveiling the jersey in Turin in front of a giant billboard, Buffon will wear the new home shirt in goal against Macedonia in the World Cup Qualifier on Friday night. PUMA will pay tribute to 20 years of Buffon and the strong possibility of his sixth World Cup tournament next summer. 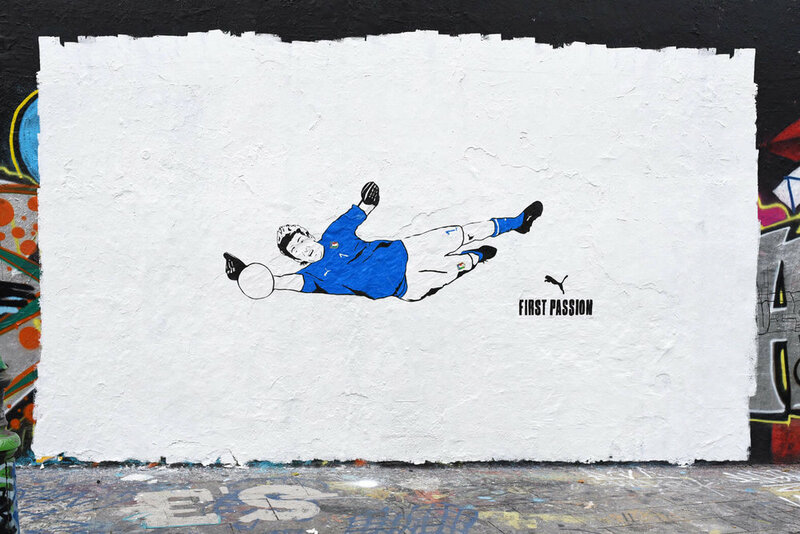 Having been given the green light by FIFA, PUMA and the Italian Football Federation will allow the legendary goalkeeper to wear the new outfield home strip in goal; unsurprisingly that's never happened before. The outfield players will wear the away strip, bespoke with the new FIGC crest. Italy's captain will be the only player on the pitch tomorrow night wearing the new PUMA Italy home shirt, with the rest of the team kitting up in the new strip when they take on Albania on October 9. The genius move will provide the first look at the kit in action after Buffon revealed a giant mural of himself by street artists Kamp Seedorf, on the streets of Torino. 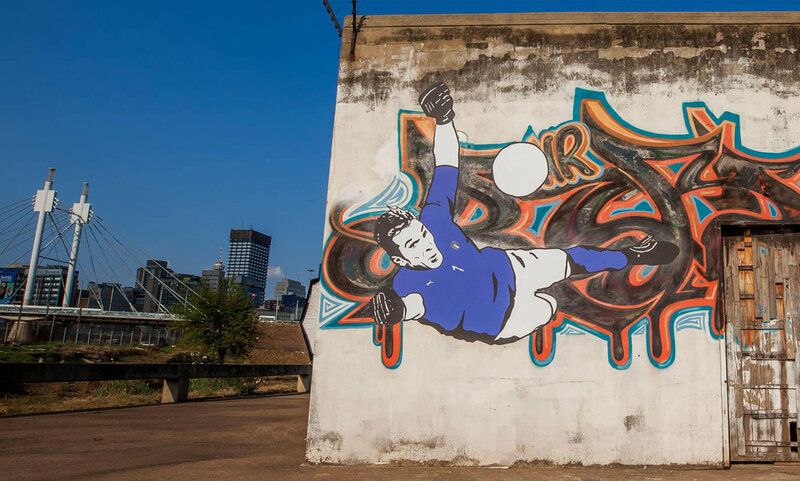 To celebrate this iconic marker, the 20th anniversary since his Italy debut, PUMA requested the talent of 'Kamp Seedorf', a group of artists specialised in graffiti and football culture, to set Buffon’s name in stone in their own unique way. In each country where Gigi has played/will play a World Cup, in the great cities of Paris, Tokyo, Berlin, Johannesburg, Rio and Moscow, huge murals representing Buffon wearing the blue have been revealed. If Italy do secure qualification to the 2018 World Cup in Russia, then Buffon will become the first ever player to participate in six World Cup Finals, his first coming in 1998. The 9th of October will mark the 20th anniversary of his first appearance with the Azzurri. Over the last two decades, Buffon has been through everything on the World Cup stage. The sun of Marseille, the rain in Brazil, the Vuvuzelas, the tears of disillusion and the tears of joy. He has known injuries, faced elimination in the group stages and proved that he is the best goalkeeper on earth, lifting the 2006 World Cup. 171 caps later and he's wearing the famous blue shirt for the first time. New badge, new kit, same goalkeeper.